Seed beads, commonly used for jewelry and fabric embellishments, are usually measured in aughts (for smaller beads) or millimeters (for larger beads). You may have difficulty measuring how wide your beads are, considering that some of them can be extremely tiny (15/0, or "15 aught," is a common seed bead size that measures 15 beads per inch) and many are a size not found on a regular ruler, like 1.3 mm. While you can purchase a seed bead caliper from many craft stores, a much cheaper option is to use a standard ruler to measure multiple beads. 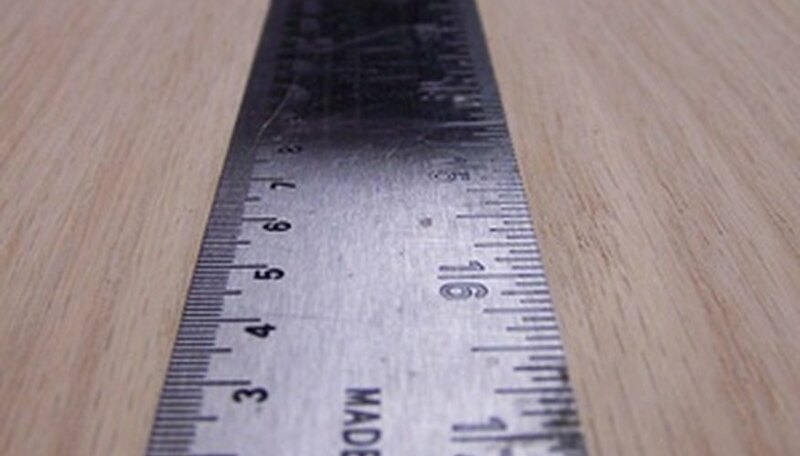 Place your ruler on a flat surface in front of you so that the centimeter measure goes from left to right (the "0" should be on your left). Place the pencil perpendicular to the ruler on the left-hand side (this will look like a T-bone). Line up 10 seed beads at the top edge of the ruler, starting at the "0." The first seed bead should be pressed at the joint of the ruler and the pencil. Line up each seed bead as if you are stringing them (they should be tightly packed together). Count the number of millimeters the 10 beads measure. For example, your 10 beads may measure 13 mm. Divide the measurement in Step 4 by 10. In the above example, 13 mm / 10 = 1.3 mm. This is the size of each bead. Make sure the pencil stays in place by pressing a book against it. What Is Worsted Weight Yarn?